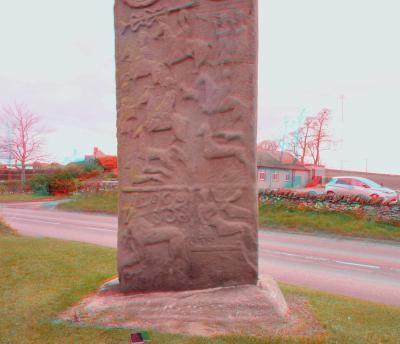 Early Medieval depictions - more ancient images of harp players from Scotland and Ireland. 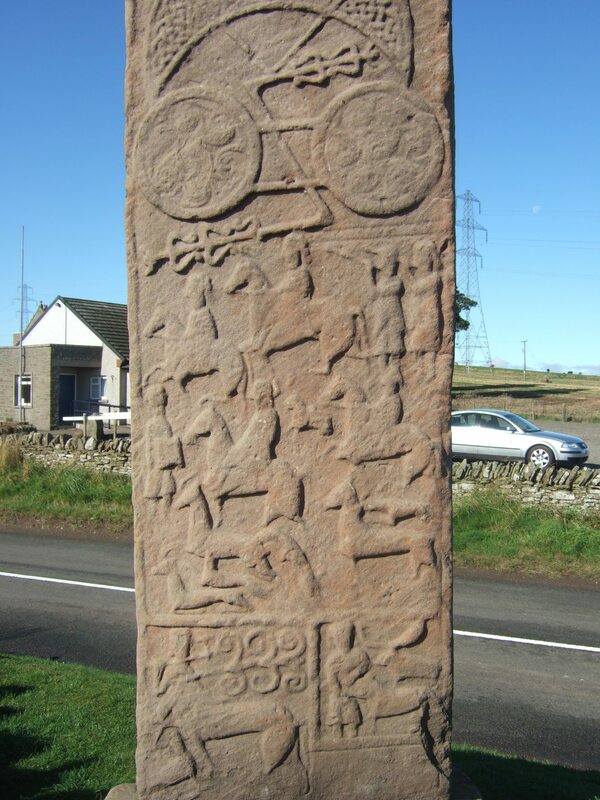 Beside the road, at Aberlemno, Angus, Scotland, is a huge and magnificent early medieval cross-slab. 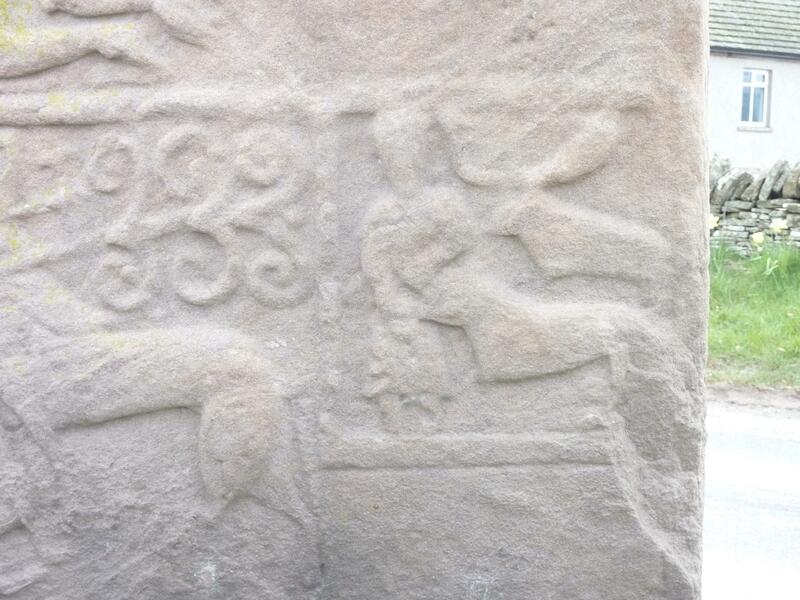 It is a large rectangular slab, with a high cross carved in high relief on one side. The reverse side has elaborate hunting scene, and in one corner, a group probably representing King David fighting the lion with a sheep and a C-shaped object as his attributes. I would interpret the C-shaped object as an arched harp, similar to modern Burmese or ancient Egyptian harps. 3D anaglyph image. Red/cyan goggles required for viewing.